Meet our newest medical case, Miss Meredith! 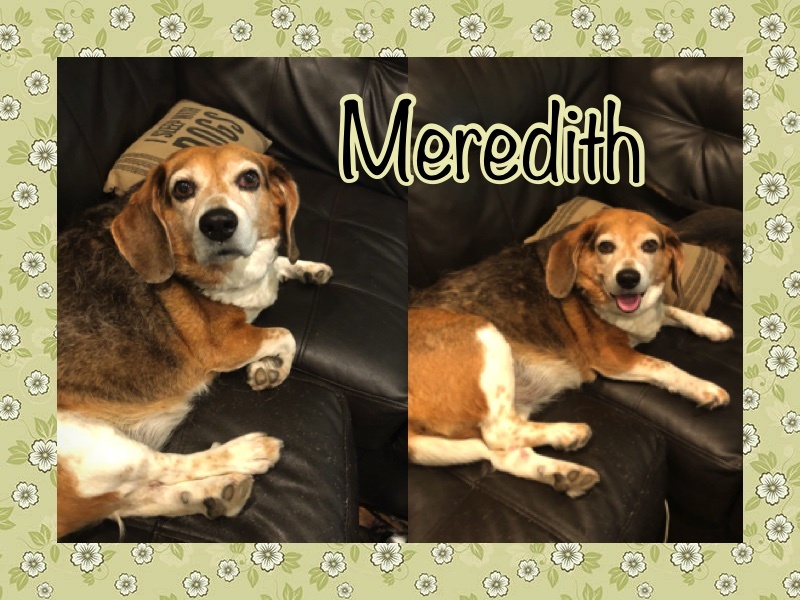 Meredith was hit by a car about three weeks ago (from 6/10/18) and was taken to a local shelter where their vet determined that her right hip is luxated/“out of socket”. Meredith is a very overweight Beagle, weighing in at 34.8lbs, and we estimate that she’s about five years old. Meredith seems like a very sweet, quiet, laid-back lady that just loves to lounge around. She loves getting attention from people, belly rubs, pets and scratches, and just ignores the cats and other dogs in the house. She’ll get a bath and brushout tonight, see the vet in the morning, and will definitely need surgery for her hip and a serious weight loss plan. We’re happy to be able to help this sweet angel get the medical care that she needs and then find her the perfect home! 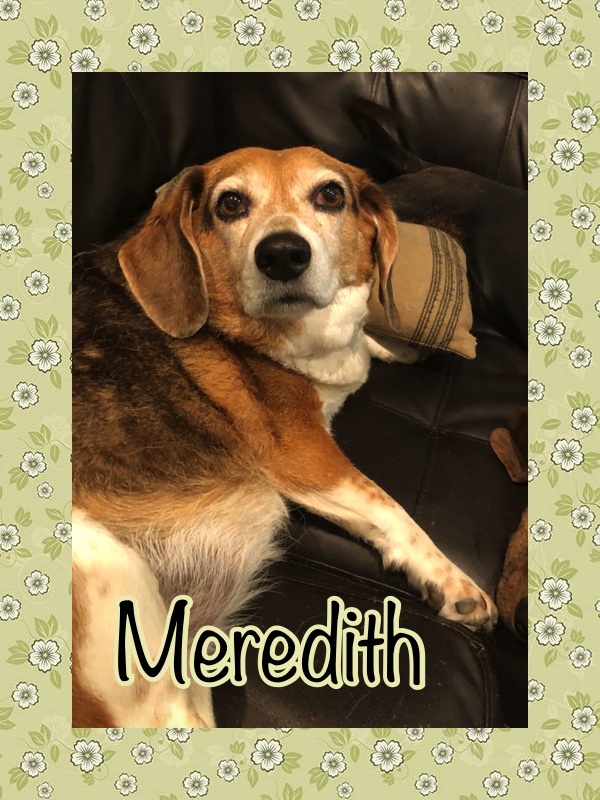 While Meredith needs some more TLC before being adopted out, we are happy to answer any questions about her if you are considering giving her the home she deserves - you are welcome to fill out an application at any time if you are willing to be patient with this sweet girl. We will update her bio as she continues to make progress so be sure to check back in! We require all animals in the household to be up to date on core vaccines. Dogs must be vaccinated against rabies, canine distemper, and Bordetella. Cats must be vaccinated against rabies and feline distemper.